A national publication on cancer causes, prevention, detection and survivorship will have a Johns Hopkins cancer epidemiologist at the helm for 2019. 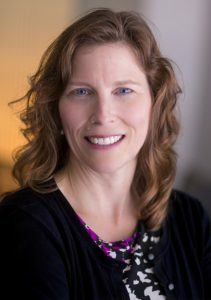 Elizabeth Platz, M.P.H., Sc.D, is the co-leader for cancer prevention and control at the Johns Hopkins Kimmel Cancer Center. She was named as editor-in-chief of Cancer Epidemiology, Biomarkers & Prevention (CEBP), one of eight journals published by the American Association for Cancer Research (AACR). Platz is a cancer epidemiologist, whose research on prostate and colon cancers sits at the interface between epidemiology and basic science. She conducts her multidisciplinary work with an eye toward identifying strategies to prevent the development or progression of cancer.